Check out if Clinton Health Access is in The Top 100 NGOs 2013 Edition! Actively partnering with 25 governments. 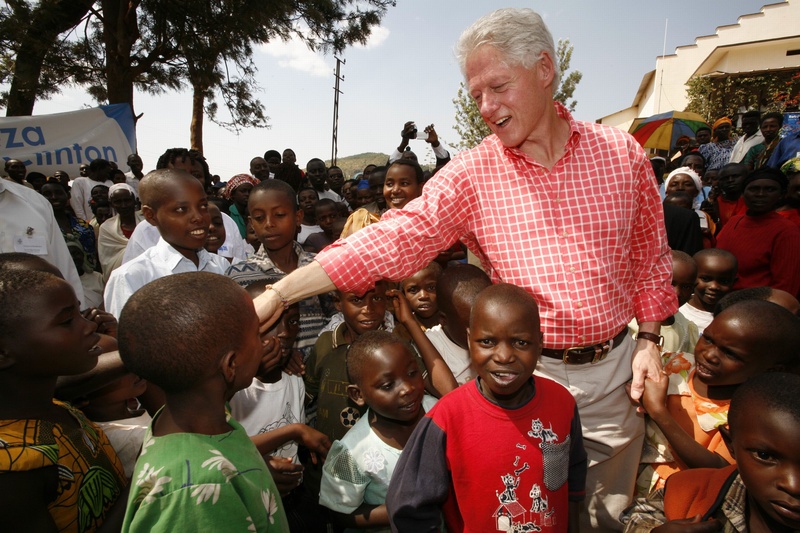 In 2002, President Clinton launched the ‘Clinton HIV/AIDS Initiative’ under the auspices of his Clinton Foundation to bring care and treatment to people living with HIV/AIDS and strengthen health systems in resource-poor countries. Eight years later, the renamed Clinton Health Access Initiative emerged as an independent organization with an expanded mandate and beneficiaries spread across five continents. Central to the Clinton Health Access Initiative’s approach is the recognition that some of the greatest challenges in fighting diseases of poverty are organizational and managerial, not scientific or medical. As a result, the organization partners with governments on a wide range of issues including HIV/AIDS, malaria, and maternal and child health, as well as strengthening in-country health systems, expanding human resources for health, and improving markets for medicines and the efficiency of health resource allocation. Favoring catalytic, ‘gamechanging’ opportunities over smaller implementation projects, the Clinton Health Access Initiative has, for instance, successfully negotiated with companies to secure lower prices for essential HIV/AIDS antiretroviral drugs. The result – more than one billion dollars in cost savings shared by over four million people. The organization is actively partnering with governments in 25 countries, while more than 70 countries directly benefit from the low-priced drug and diagnostic test agreements it has negotiated.